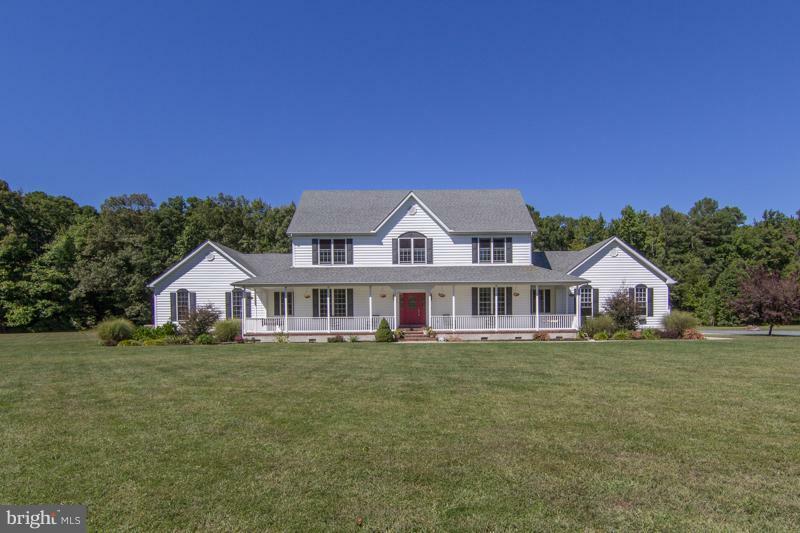 Country Setting on 3+ acres with lush landscaping and in-ground pool! The 4, 000+/- square foot home with covered front porch features a two-story open foyer, custom kitchen with stainless steel appliances and Corian countertops, formal dining room, spacious family room, first floor master w/sitting room and large bedroom suites each with private baths. Huge partially finished 3rd fl bonus room. Directions: Rt 50 toward Trappe, turn right on Sanderstown Rd, house will be on your right hand side, sign posted.